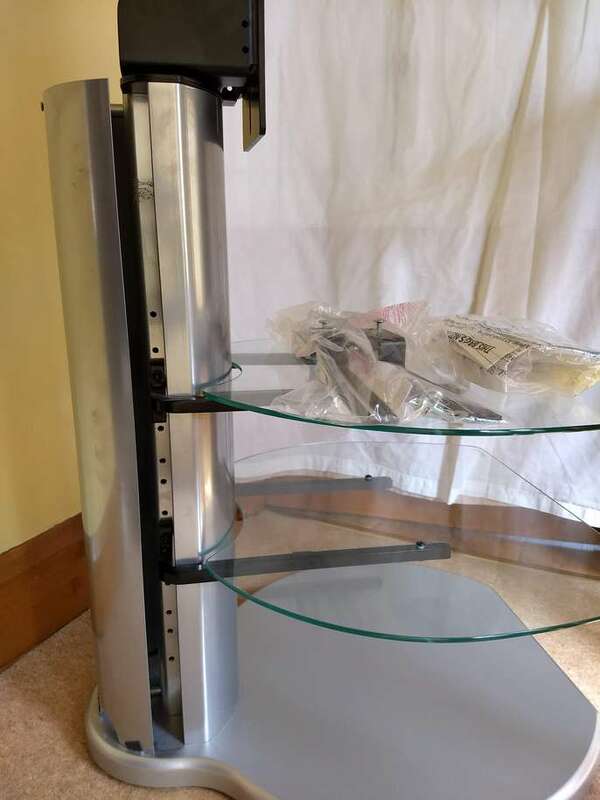 The “Off The Wall Origin II S3” Silver TV Stand is a contemporary, practical way to display your TV. (Price new £220.) 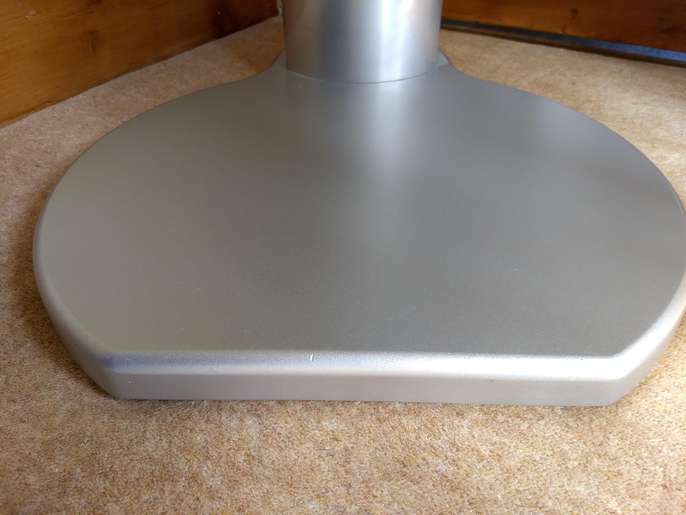 The adjustable universal bracket is suitable for use with LED, LCD and Curved TV's up to 55" and allows the TV to be turned left and right 20 degrees each way. 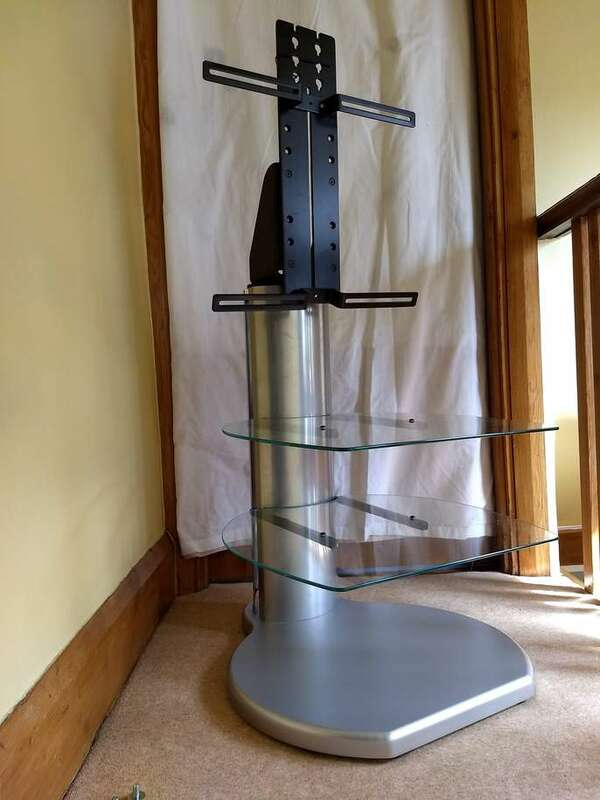 The TV bracket is also height adjustable. 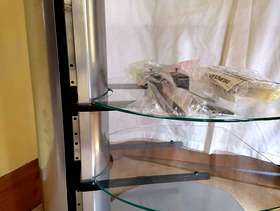 It has 2 toughened safety glass shelves that are height adjustable and can be used to hold your AV system. The design allows all cables to be hidden from view inside the main column. The stand is in very good condition with some small scratches on the base unit (see the close-up photo). 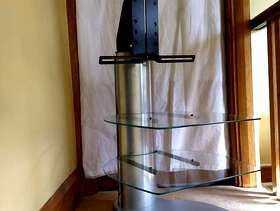 It is supplied with the original fittings and instructions to attach the TV to the stand. Collection Only. This item weighs approx. 25kg though it can be dismantled if required.